Time is broken and only you can put it back together. 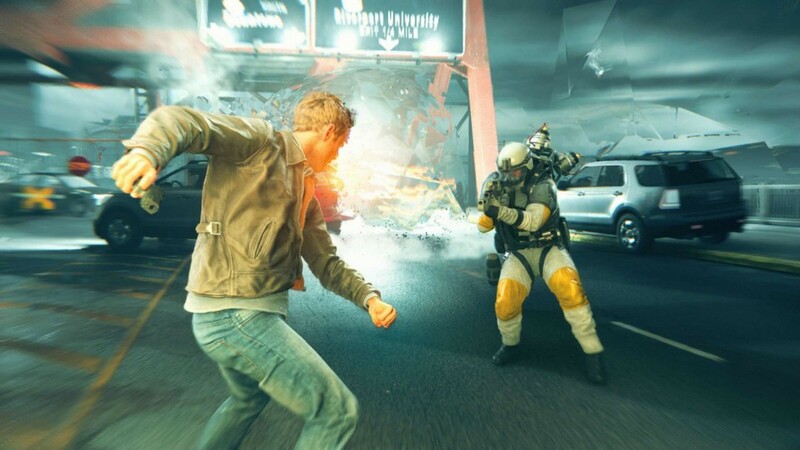 This is the basis for developer Remedy’s new Microsoft exclusive Quantum Break. There is something special about imperfect games. I love the idea of creators reaching past what is normally done and going for something more. These games usually don’t hit all the goals they set for themselves, but the ones they do hit are often spectacular. Quantum Break is that kind of game. There is plenty to pick apart when it comes to how the story is told or how the action unfolds, but most of the time I spent with Remedy’s new third person shooter was positive. 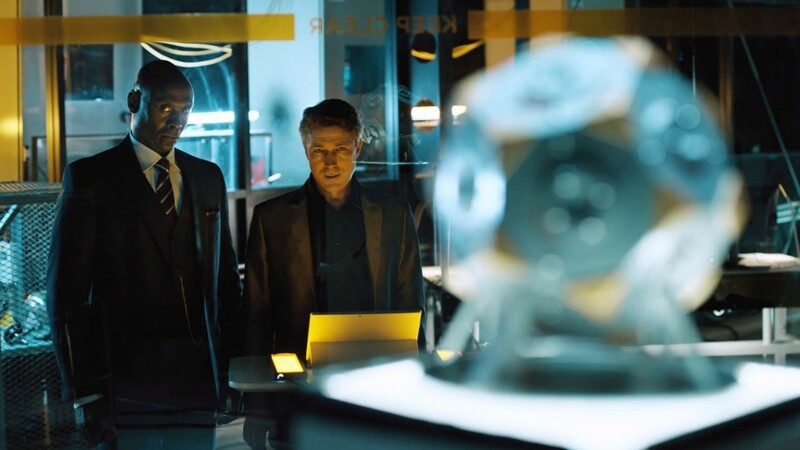 Before we dive in we need to talk about the “thing” in Quantum Break. You know what I’m talking about. That whole weird “TV show within the game” thing. QB is separated into five acts and in between each of them is a 24 minute live action cut scene. When you’re playing QB, you play as Jack Joyce, (a wrong place at the wrong time hero played by Iceman himself, Shawn Ashmore) but when you watch the show portion, you end up following the bad guys of story. Its an unorthodox choice inside an already bonkers one. Here is the thing though. It works. I got invested in the comings and going of Paul Serene (Aidan Gillan a.k.a. Little Finger), Lance Reddick (a.k.a. Matthew Abaddon) and the other members of Monarch Solutions. Remedy goes out of their way to give faces to normally faceless enemies and to impress upon the viewer the complicated nature of the conflict. I also liked the break it gave me in between game play sessions. I would grab a drink, kick my feet up and soak it all in. When Quantum Break works, it’s really working. There are these perfect moments when the visuals, acting and plot coalesce into a truly cool time travel story. I found myself loving the weird places its willing to go and paradoxes its more than happy to embrace. Even the combat, which is the game’s weakest element, can be dynamic and fun. I got a lot of enjoyment out of discovering the different ways my powers could work together. There are also some staggering set piece moments where you have to escape disasters in progress (a bridge collapsing, a tanker destroying a dry dock) that have been frozen in time. Yes, for a large chunk of its 10 hour running time, Quantum Break feels like it’s exactly the kind of game that developer Remedy wanted to make. Then, somewhere between act four and five, things begin to run off the rails. 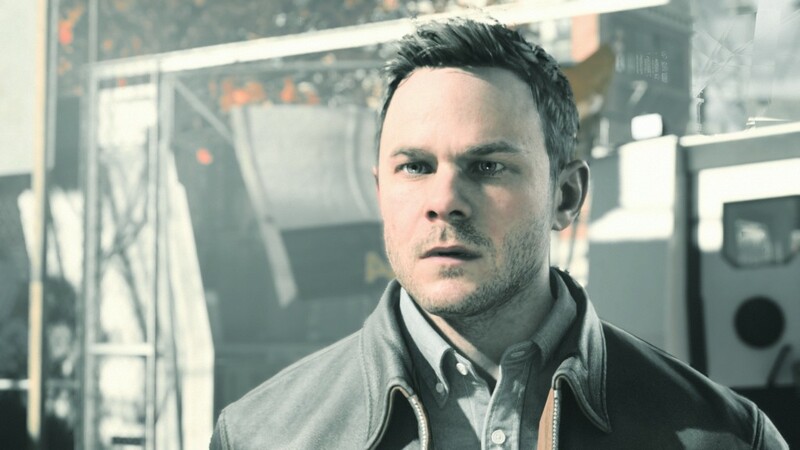 Quantum Break wants to have its cake and eat it too. I find this problem occurs in a lot of story based games that rely heavily on traditional combat mechanics. Instead of amping up the narrative drama, the game instead begins to toss enemy group after enemy group at you. By this point, I had pretty much seen everything the game had to offer, which made these sequences more tedious than thrilling. I wasn’t dying a lot, but I also wasn’t having a ton of fun. The story never totally loses its entertainment value, but in its last act it begins to take short cuts with its characters and its plot points. This is especially true of the elements set up in the TV show portion of the game. These characters I was made to care about are thrown to the side pretty unceremoniously. This begins in the poorly paced 4th episode of the show, and runs right through until the end of the game. It’s a disappointing turn of events, especially since narrative is a key to your enjoyment here. There were three separate instances where I thought the game was setting up some epic end encounters only to be given another standard shooting gallery. I wanted to love Quantum Break. I think it pulls off its live action cut scenes and its wacky time travel story. It also had me genuinely invested in the fate of its characters. It trips up when it relies too heavily on combat and its wonky platforming mechanics. These would be simple annoyances, if Remedy was able to stick the landing on its story. Unfortunately, it drops the ball here as well. There are a myriad of end game problems, including a horrible final boss fight, that left me with a bad taste in my mouth. I still recommend playing Quantum Break for its acting story and weird cut scenes, but go in with your eyes open. 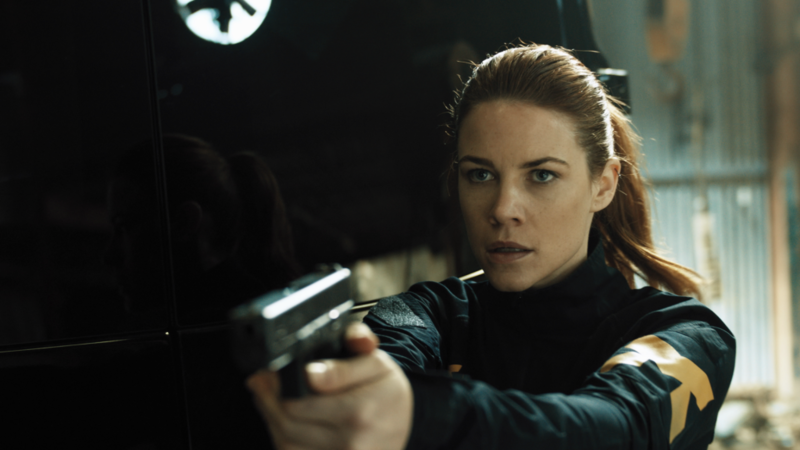 Quantum Break's ambition is praiseworthy. It's story and those live action cut scenes are very fun, but its combat and some bad last act developments really sour the experience.